Duluth native Wellyn Totman turned a youthful interest in films and entertainment and a talent for writing and promotion into a career in Hollywood as a successful screenwriter. The Totman family were early residents in Duluth. Everett Totman and his cousin Harry F. Totman were the first of the family to move to Duluth from Maine, in the mid-1880s. Everett worked in real estate and Harry became a partner with Sam Boyce in the Boyce-Totman Pharmacy, later the Boyce Pharmacy, which operated in Duluth for over 100 years at various locations until finally selling the last store under that name in the Kenwood Shopping Center about 1990. Everett’s older brother, Llewellyn P. Totman, joined them in the Zenith City in 1890 and the two opened the Totman Brothers livery service at 221 West Superior Street. Llewellyn brought his wife, Dora, and their three sons—Charles, Edward, and Walter—and they resided in a house at 1431 East First Street. On December 17, 1890, Charles died from typhoid fever. Edward, then 17 years old, worked in the livery business and Walter was a student. The business thrived in the rapidly growing city. When John D. Rockefeller visited Duluth on the steamship North West in the summer of 1896, Edward drove him in a Totman Brothers carriage from the docks to the Union Depot on Fifth Avenue West and Michigan Street. In 1898, Everett left Duluth and returned to the east coast and Edward became a partner with his father in the livery business. On October 3, 1900, he married Nellie Halling in Duluth. They would have two sons, Llewellyn and Robert. In 1901, the Totmans moved their business to a new building they had just constructed at 206 East Superior Street. The Totmans were also active participants in harness racing on the harbor ice, which was a popular local sport in the early part of the 1900s. The track was created on the bay off 21st Avenue West. The Totmans’ bay mare, Alice, was one of the fastest horses in the area until they sold her in 1907. Future writer Wellyn Totman was born on August 3, 1903, in Duluth, to Edward and Nellie Totman. They named him Edward Llewellyn Totman after his father and grandfather. Known as Llewellyn, the boy attended Washburn Elementary School and Duluth Central High School. 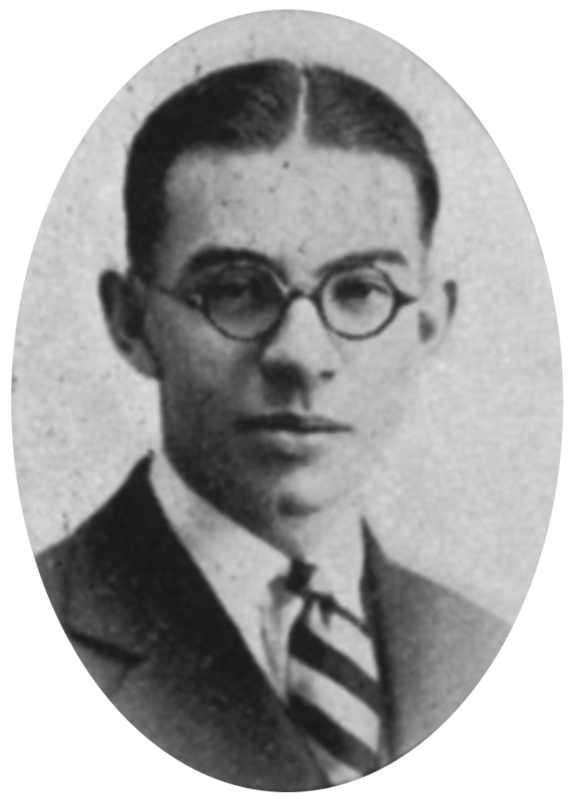 As a student, he worked on the musical comedy “Nautical Knot,” which was performed at Central in 1919, but he spent more time in 1920 and 1921, still in his teens, working as a drama critic and literary editor for the Duluth News Tribune. He wrote reviews of films and stage productions and articles about the entertainment world, such as an interview with vaudevillian Georgie Jessel (DNT, March 27, 1921) when he appeared at the Orpheum Theater, and an article about theater called, “Does the Theater-going Public Like ‘Blue Jokes’?” (DNT, February 13, 1921). At the same time, Llewellyn was working as an impresario or event promoter, booking nationally famous entertainers for Duluth concerts. His first big success was booking Ruth Draper, an actress and monologist who performed her solo act to a nearly full house at First Methodist Church on April 15, 1921. Next, in what would have been his greatest success as a concert promoter, Llewellyn booked composer Richard Strauss and soprano Elisabeth Schumann for a concert in the Duluth Armory on December 19, 1921. It was Strauss’s first visit to the U.S. in fourteen years. Even with $3,000 in advance tickets sold, though, Strauss cancelled two days before the scheduled concert, citing poor ticket sales. Llewellyn also brought American soprano Geraldine Farrar to Duluth on May 21, 1922, following her final performance at the Metropolitan Opera in New York City in the lead role of Leoncavallo’s Zaza on April 22, 1922. She performed to a capacity audience at the Armory on London Road. As business like as he can be. And in journalism soon he’ll make a great name. He left Duluth shortly after graduation for a year of college, but he soon ended up in Los Angeles, probably thinking of a career as a writer. He found a few small writing jobs and by the summer of 1926 was working in the scenario department at MGM Studios, where he was reunited with another Duluth Central graduate, Sidney Buchman (class of 1919), who was also writing for MGM. In 1928, Totman took a job as a caddy for professional golfer Walter Hagen. When Hagen was offered a role in a silent film, Totman was hired to write continuity, which meant maintaining the story line. The film, Green Grass Widows, came out in 1928 and starred Hagen and Hedda Hopper. It was the break Totman, now calling himself Wellyn, was hoping for. It led to a string of jobs writing for silent films, including The Albany Night Boat (1928), Domestic Meddlers (1928), and The Eternal Woman (1929). Totman’s first talkie, for which he wrote the story and the screenplay, was the western Sunrise Trail (1931) starring Bob Steele. Back in Duluth, Totman’s parents had moved into a new home at 321 Kenilworth Avenue in 1913. Unfortunately the Totman Brothers livery business had closed around 1915 due to the popularity of the motor car—by 1917, Duluth had one car for every 50 citizens, or about 1,500 cars, according to the Duluth News Tribune. In 1921 Wellyn’s father went bankrupt. His mother, died in 1925. By the early 1930s, his father had moved in with him in a house on Sunshine Terrace in Hollywood. In all, Wellyn Totman wrote or co-wrote about fifty films, at first for Monogram Pictures in the early 1930s and then for Republic Pictures until the early 1940s. Most of his films were low-budget westerns and action movies. Perhaps his more notable films include Mystery Liner (1934), starring Noah Berry, a story that Totman adapted from the Edgar Wallace story “The Ghost of John Holling;” Hidden Valley (1932), starring Bob Steele; The Dawn Rider (1935), with John Wayne; and Exiled to Shanghai (1937), with Wallace Ford and Dean Jagger. For reasons unclear, Totman stopped writing for the movies in the mid-1940s but remained in Hollywood. A hint to the reasons behind his early retirement may be found in a short article that appeared in the Van Nuys News of February 25, 1937, headlined “Charged Driver was Obstreperous” that read in part, “Wellyn Totman, 33, writer residing at 11836 Sunshine Terrace, proved to be a tartar when he was apprehended Tuesday night…. By “tartar” the article’s author probably means an irritable and violent character. The article states that Totman’s vehicle was stopped on suspicion of drunk driving; Totman tried to escape and nearly ran over one of the officers. He was booked in the Van Nuys police station for, among other things, resisting arrest. Totman’s last job of screenwriting was two episodes of the CBS television series The Millionaire, broadcast in 1956 and 1957. He died in Los Angeles on October 6, 1977. No obituary appeared in Variety or in the Los Angeles Times—just a brief funeral notice.